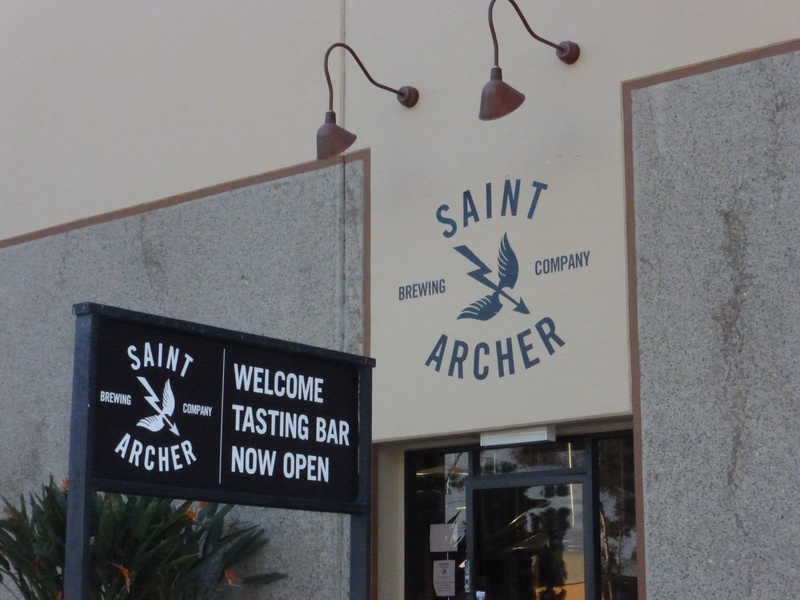 I had visited Saint Archer once before and was impressed by the IPA but not so much that I was compelled to return to have more. Fast forward a few months and I noticed some San Diego Beer week specialties on tap so I had to return and brought with me a few friends to share. 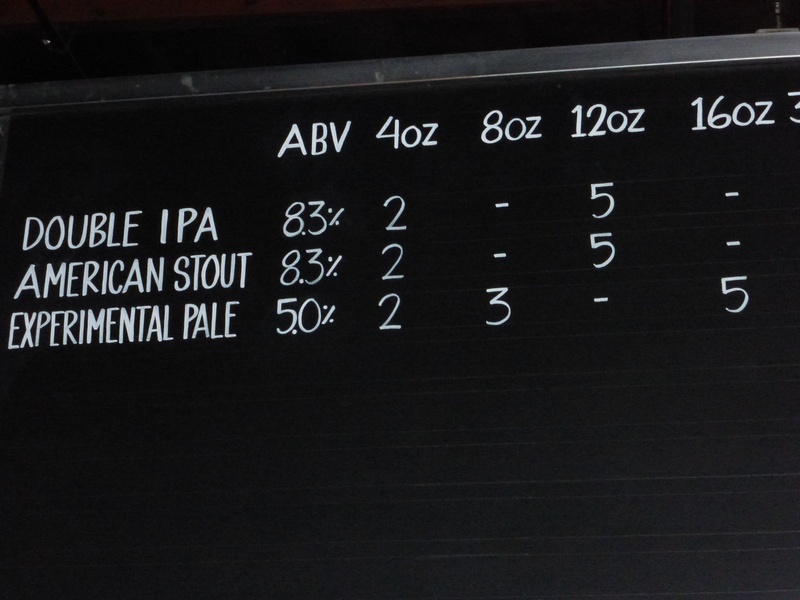 This time I got to taste the IPA, double IPA, and the Stout both on cask and on tap. 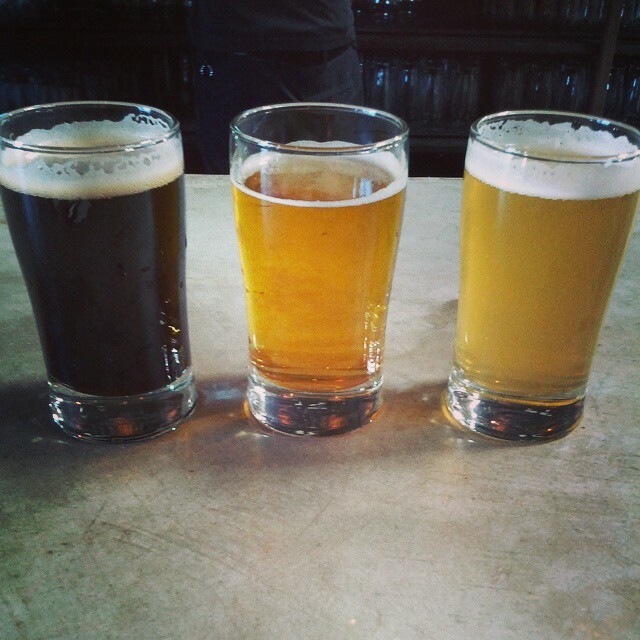 Left to right, IPA, Double IPA, Stout, Cask Stout. Saint Archer from the outside. I was once again quite impressed by the IPA. It has all the qualities I love in a solid IPA without the heavy malts that sometimes make good IPAs un-drinkable. It is a little lighter than most people in San Diego might be used to from an IPA but it has a full body and is quite good. The double IPA is only a few percentages stronger and has a nice lighter appearance, meaning it is also not a malty beer. The flavors are very similar to Green Bullet from Green Flash though a few percentages lighter. The American Stout was interesting because it was not the typical heavy chocolate or heavy coffee flavors you might expect from a stout in San Diego. It has a bit of hops added to it that gives it a bitterness that counters a lot of the sweetness you typically taste in stouts and porters. The hop flavors are light enough that they might not offend hop-haters out there but mild enough that they don’t reach the level of the Sublimely Self Righteous from Stone. The cask version of the stout was a little more creamy but because the underlying stout was not as sweet it did not impress me as much as other stouts on cask. 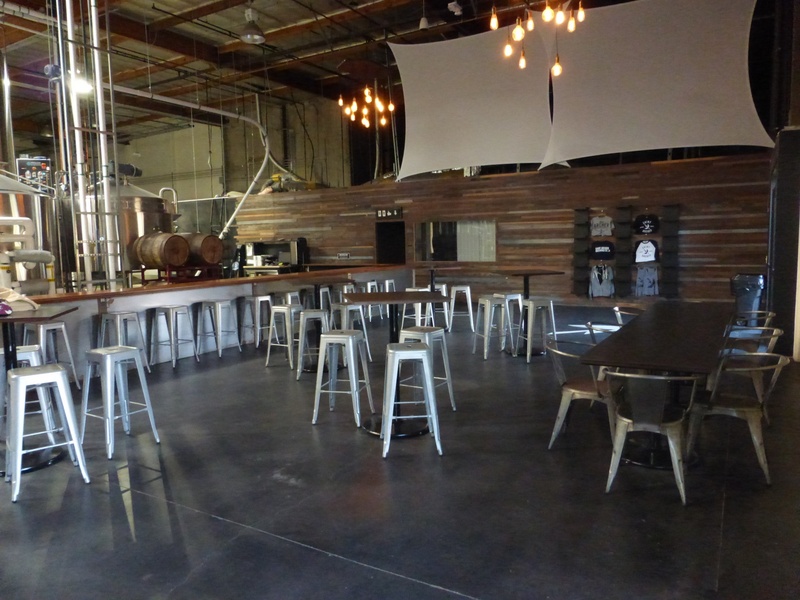 Saint Archer has a nice seating area with bar stools and tables with plenty of room for a lot of people to hang out. Saint Archer has been brewing a lot of great beers since I last visited them. Most recently, they won a gold medal at the Great American Beer Festival for their white ale. 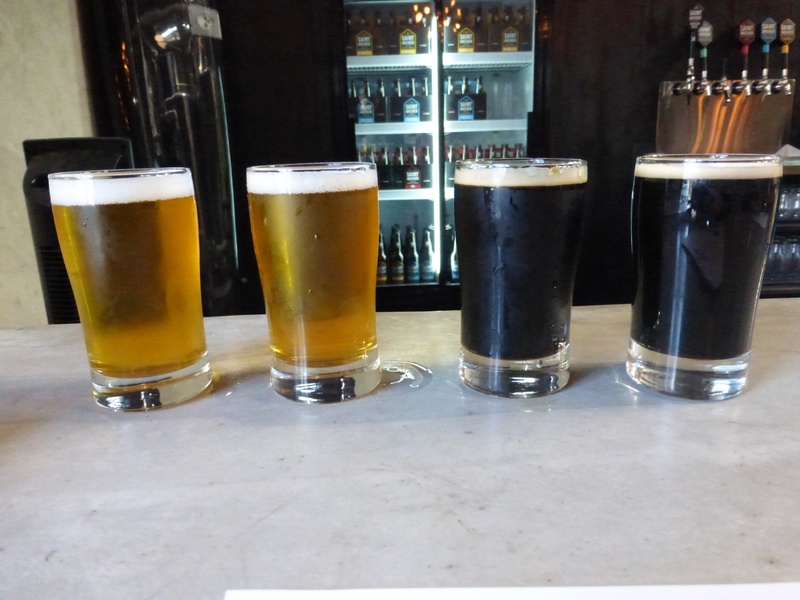 I visited them for a few tasters on October 6, 2014 and had a taste of the pale ale and the white ale along with a black lager. The white ale is a very nice Belgian ale with citrus and spice aromas and flavors. It has a very light body but is quite tasty. The pale ale batch on tap was barely a week old and I could taste some nice crisp citrus and pine flavors. the pale ale was just what I wanted. The black lager was a bit light on the body and mostly had flavors of roasted malts. Hopefully future batches will be a bit more heavy. 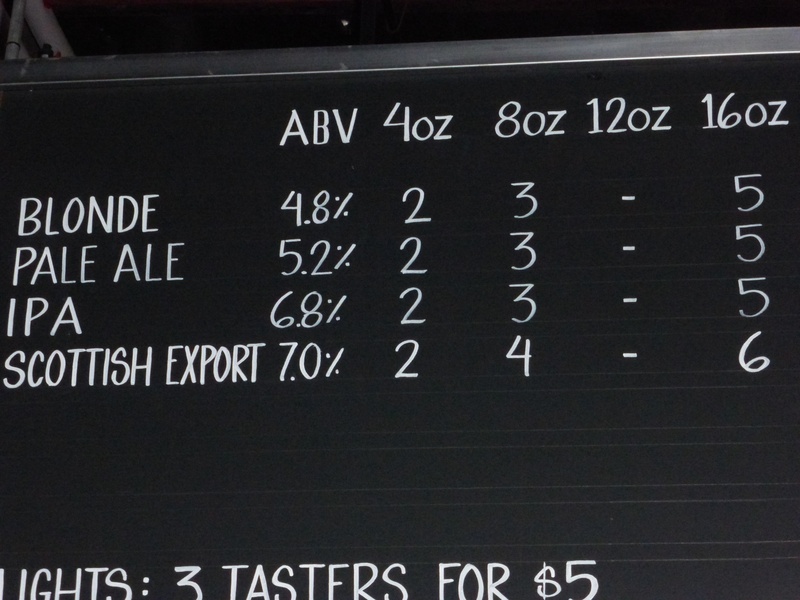 Saint Archer sells six packs of the pale ale, blonde, IPA, and white ale. They also sell 22oz bottles of all four plus the double IPA and coffee brown. They make sure to sell the freshest bottles and cans at the tasting room so stop in for a six pack the next time you are in the mood.